The Telegraph has proclaimed: “The end of apps is here…” TechCrunch, Mashable, VentureBeat, and others also shared their belief that mobile applications as we know them are a dying breed. But how did mobile apps become endangered? We’re experiencing the transformation of well-known messengers like Telegram, Slack, Skype, and Facebook Messenger into chatbot platforms. Today, these resemble smart AI-powered assistants that can help us with many tasks, all within one application. But there are also a number of standalone chatbot mobile apps. How effective are they? Here’s a list of the 5 best artificial intelligence chatbot apps that show great potential. Let’s see what they’re all about! 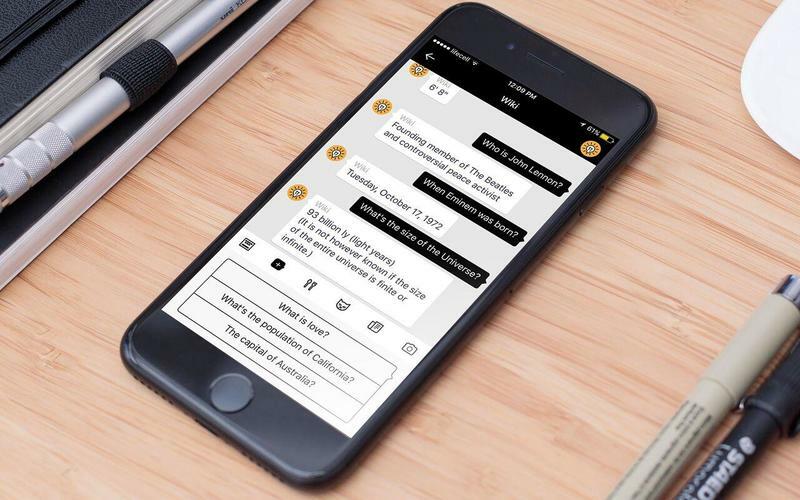 The Luka app is a place where humans and bots can meet and talk about things like restaurants, weather, and recents news. Luka was first launched in 2014 as a mobile AI-powered social concierge service, called IO. At the time, it provided restaurant reviews and recommendations. You could ask IO something like “Where is the nearest place I can try traditional French food?” or “What are the favorite local hangouts?” and get an immediate, friendly response. IO wouldn’t just give you a one-word answer, offered a restaurant’s digital card with the address, phone number, menu, hours, and so on. Additionally, IO could send you photos of certain dishes when you asked about them. The nice thing about IO was that the application could enhance your user experience by asking you for feedback right after you’ve visited a suggested restaurant. So your preferences or opinion would never be ignored during subsequent sessions. 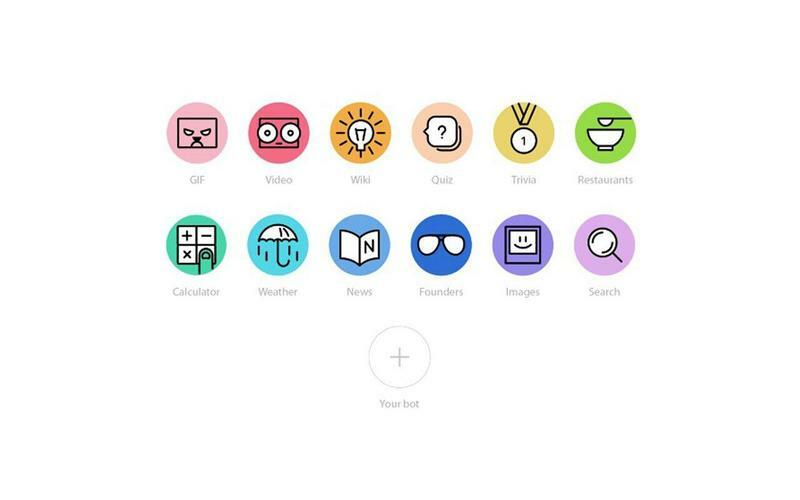 Recently, IO’s creators changed the app’s name to Luka and added several little helpers, meaning it’s now in charge of 12 other bots: Foodie (for restaurant recommendations), Weather, Wiki, Video, Gif, Pic, News, Founders, Search, Calculator, Quiz, and QuestHero. All of these bots are available 24/7, so you can reach out to them anytime you need information on a new restaurant or just want to know how big the universe is. Moreover, it's possible to book a table via the OpenTable service right within the application. Unfortunately, booking is only available in the Bay Area so far. The nice thing about these apps is that you don't have to choose the right words to communicate with them. You can simply write “I’m bored“ or “I have a date today,” and Luka will direct you to the bot who can help you out. The Luka app is completely free to download and has no annoying adverts or in-app purchases. So how can Luka earn money? There two options: since the application provides table reservations, it could charge users a small fee for the service – or it could resort to sponsored recommendations. Moreover, the platform has recently opened its gates to third-party developers, so this may offer yet another opportunity to earn revenue in the future. However, there’s no precise information available about the company’s monetization strategy. As of July 2016, Luka had around 5,000 downloads on App Store, with a monthly income of less than $5,000 (according to Sensor Tower). Nevertheless, having announced the recent close of a $4.42 million Series A funding round, Luka’s creators are more than optimistic about the app’s future. As you may know, most modern fitness apps employ your mobile device’s inner sensors – and sometimes require additional inputs – to track your fitness and health. 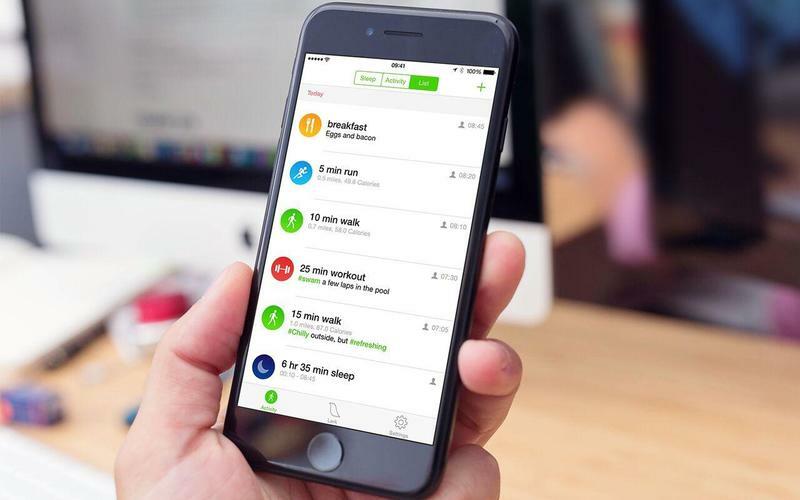 Lark (for iOS and Android) is similar to many health and fitness apps, but it's more than just productivity tracker – Lark is the health app that talks to you, just like a live weight loss coach or a fitness trainer! Lark makes witty remarks about how you can improve your lifestyle to be healthier, drawing its insights from a database generated by the world’s leading sleep and nutrition experts. How does Lark work? As with any other health tracker, Lark relies on your device’s built-in sensors to track your activities and habits. What distinguishes it is that you can text or dictate to the chatbot and it will ask you what you ate or drank recently and then give you comprehensive feedback on your eating, drinking, exercising, and sleeping habits. Imitating a real conversation with a live expert can engage users, helping them achieve their goals and stay on track. Lark nudges you forward in case you start deviating from your individual plan. According to Lark’s creators, there have been more than 300 million text message exchanges between the smart assistant and users since the app’s release. This load is equal to the efforts of 20,403 full-time nurses. So a $19 monthly subscription seems quite reasonable! Since the application relies on in-app purchases as their one and only monetization strategy, it has been successful at generating revenue. The figures speak for themselves: Friendly Finances’ monthly income was about $10,000 for July 2016, and the app was downloaded 9,000 times during that month. Want a detailed report on your incomes and expenses? Penny is a free personal finance app that will gladly offer one. Unfortunately, the app only covers US-based banks at present, but Penny told me it would let me know if this changes in the future. If you have a US bank account, however, then you’re eligible for the most polite bank assistant ever! Even the most boring procedure – linking your bank account to the app – is done conversationally. Once you’ve downloaded and opened the app, you’ll be greeted by Penny and asked if you’d like to link any of your most used credit or debit cards. After you’ve linked your accounts, you can ask her about anything regarding your expenses in the past. For example, you can ask Penny how much you’ve spent on food or medicine last week, or to show your income vs. spending chart over the last half year. The only downside to Penny is that it doesn’t work with self-generated phrases. Penny’s creators explain that natural language processing (NLP) integration would result in a poorer user interaction with the application. But some younger users of Penny may simply not know what to ask about their finances. Even without support for custom messages, though, Penny already knows how to hold a great conversation with a customer. 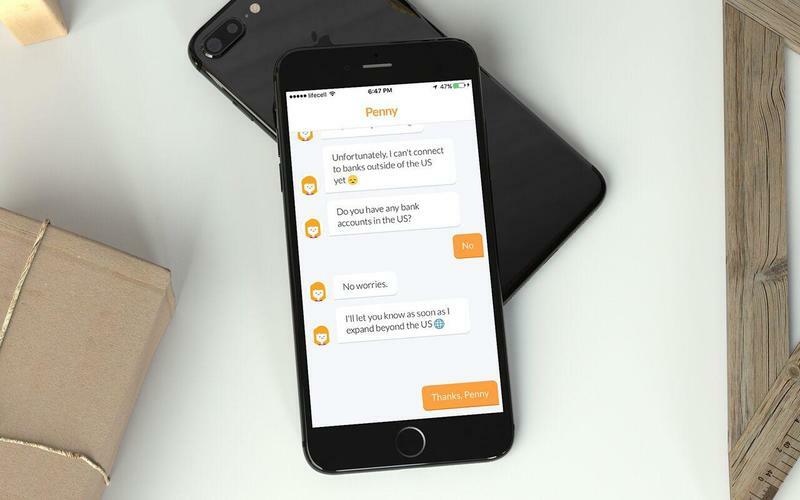 Penny currently exists as a separate app for iOS and Android, but its creator, Mitchell Lee, says that they’ll definitely consider submitting their bot to a chatbot platform like Messenger. However, this won’t happen in the foreseeable future, mainly because most of the existing chatbot platforms are not mature enough to support Penny’s key features – secure password entry and pre-populated responses. Penny had around 10,000 downloads in July 2016. In March 2018, Penny was acquired by Credit Karma. If you have trouble saving money, then you might want to check out Digit, an application powered by artificial intelligence that will save money for you. Warning: Digit won’t make you rich but it will help you form the savings habit! You don’t have to worry about transferring a devoted sum of money to a special account on a regular basis, as Digit will take care of it for you. All you need to do is give the app access to your checking account, and it will start transferring money to your personal FDIC-protected Digit savings account. As with all savings accounts, the interest rate is nominal; you’ll get 0.05% for every dollar that stays untouched for at least three months. Instead of bothering you with redundant reminders on when and how much you should transfer, Digit makes all the decisions on its own and transfers small portions of money (usually around $2-$17) after analyzing a number of factors such as your monthly income, current balance, incoming bills, and spending habits. And don’t worry, the application won’t perform transfers if it sees that you’re broke at the time. On the other hand, Digit will always politely inform you about how well you’re doing and how much you already have in your Digit savings account. You can mix pre-set commands with your own custom messages when communicating with Digit. For example, you ask to withdraw money, and Digit will instantly do so. 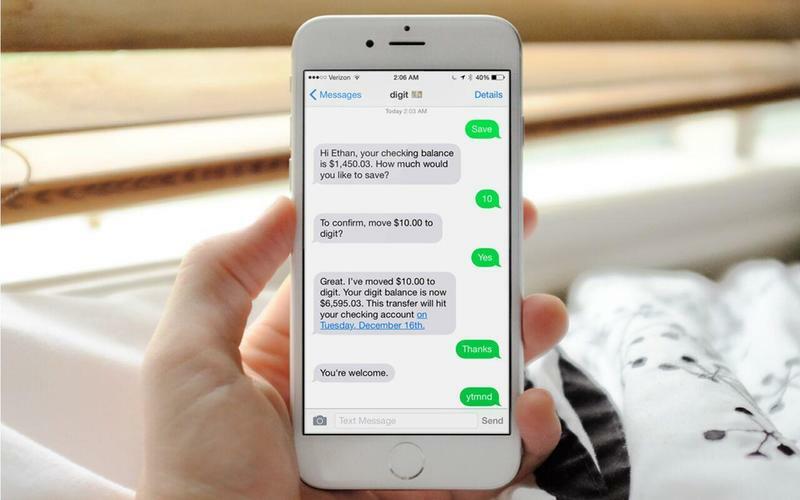 Previously, Digit communicated with users via their website and SMS, but they now have a free iOS application that handles all financial procedures in one place and allows you to avoid paid SMS messages. Besides, it’s much more secure to communicate with Digit via the application, since all channels are SSL-encrypted. So how does Digit earn money if it doesn’t charge any fees? Collaborating with two partner banks – Wells Fargo and BofI Federal Bank – Digit makes money by getting the interest on the money you save on special accounts held by Digit at two these banks and pays out a small portion of the interest (0.05%). Since its start in 2015, Digit has around 5,000–10,000 monthly downloads on average. But the company’s revenue didn’t even cross a $5,000 mark in July 2016. Hello Hipmunk isn’t an independent mobile application, but rather a great extension to an existing hotel and flight booking app called Hipmunk. 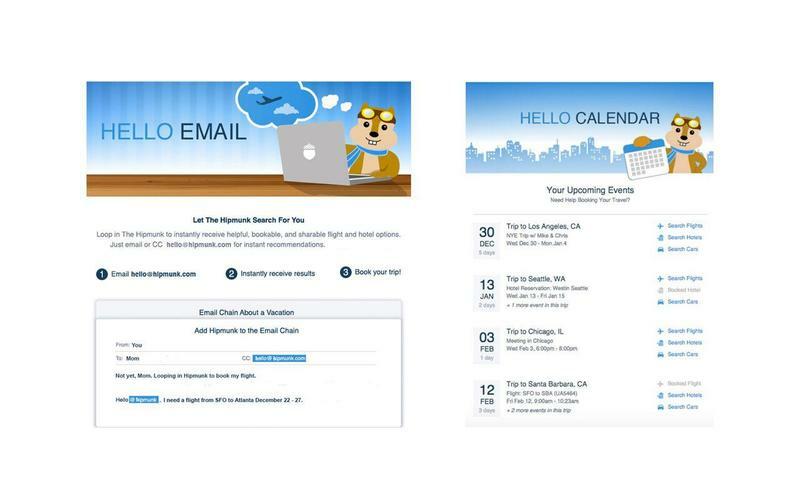 Hello Hipmunk is an AI-powered travel planning virtual assistant that focuses on two channels where people usually talk about their travel plans: email, covered by Hello Mail, and calendars, covered by Hello Calendar. You can either cc hello@hipmunk.com when writing an email to your friend, spouse, or family member, or send a separate email directly to the service. For example, you can write something like “Hi there! I’m going to Chicago next Monday. Hope you will be there!” and include a few words like “@hipmunk, I need a flight from LA to Chicago on September 5” right in your letter. You need to then cc hello@hipmunk.com before sending an email. After analyzing the information you gave, Hello Hipmunk will try to find you the best flight offers for a given date. A close partnership with the Navigators – Hipmunk’s customer service team – has given Hello Mail more insights into the types of questions customers usually ask, allowing the Hipmunk team to teach Hello Mail how to recognize and process different patterns and answer questions in a human-like manner. Hello Mail is currently in beta and is still learning from humans, but the results are already fascinating. Hello Calendar is one more AI project for the company’s flight and accommodation searching service. Hello Calendar can predict a user’s upcoming travel needs by analyzing their Google Calendars (with permission, of course). As with Hello Mail, the Hello Calendar service will email you with the best offers for hotels, rental cars, and flights for the dates you need. Hello Hipmunk may significantly reduce the need for exhausting travel searches when you plan your next vacation. Also, these AI services have the potential to keep users coming back to the core Hipmunk application to make reservations. As you can see, there are a handful of companies building reliable, high-quality products that stand on their own – not as components integrated into other third-party chat services. not within the borders of one platform but rather as a single business. As a result, we can enjoy more mature AI-driven applications with customized designs and rich functionality.